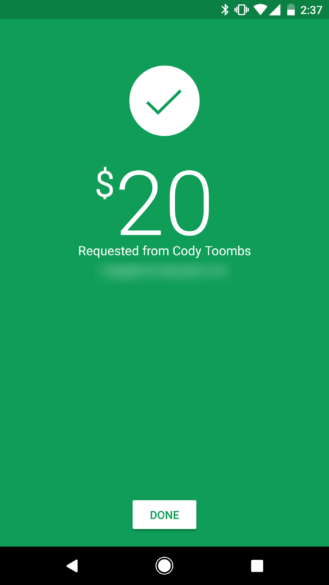 The changes to the main Google Pay app weren't very extreme, but there were definitely some meaningful adjustments to layouts, colors, and various other aspects of the app. 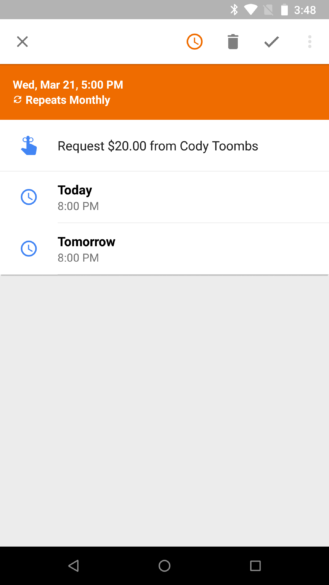 As for the Google Pay Send app, those changes are even less significant. 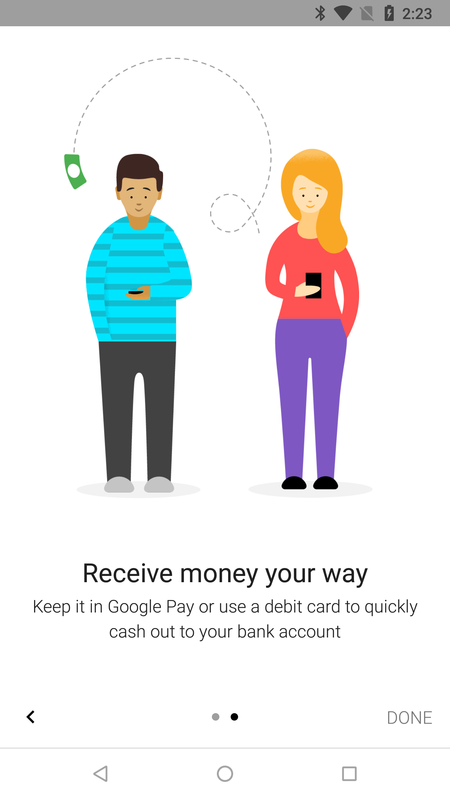 For the most part, we're just looking at a huge number of changes from the word Wallet to either Pay or Pay Send, depending on context. 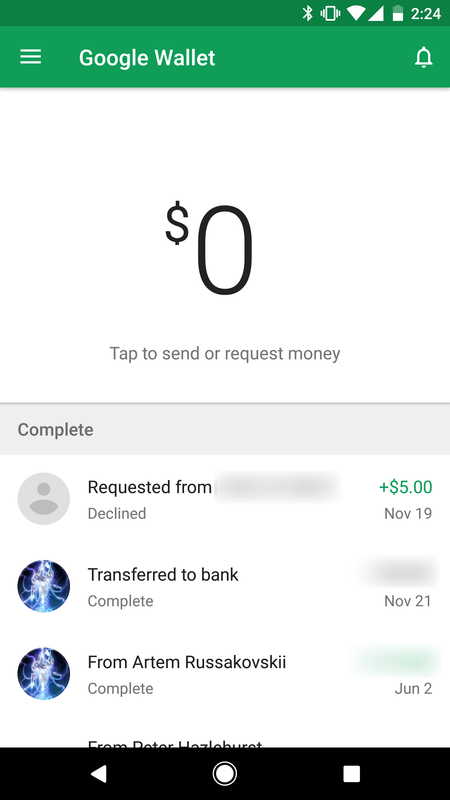 For the most part, the only changes you're really going to see are a restyled action bar at the top and a few tweaked colors here and there. 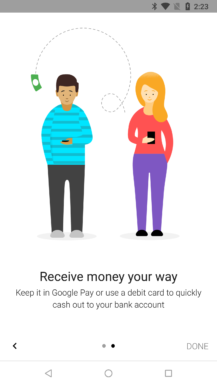 Considering this entire app is going to be absorbed into the main Google Pay app, I'm surprised even this much effort went into the rebranding. 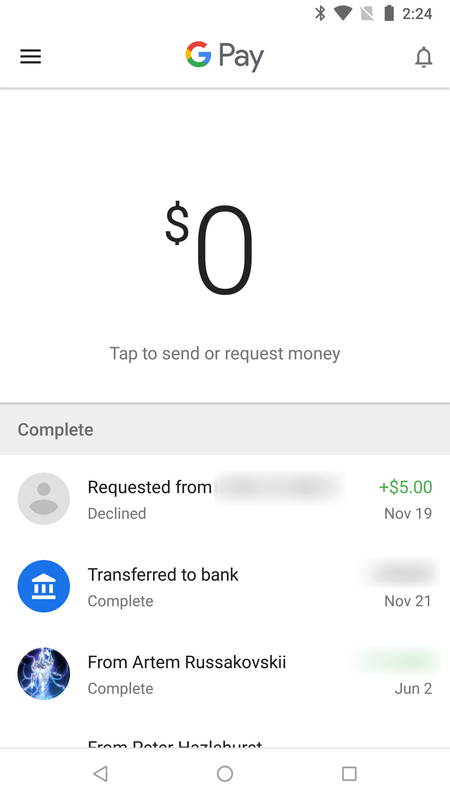 It may come as a bit of a surprise, given that the Google Pay Send app isn't long for this world, but it actually got some new features. 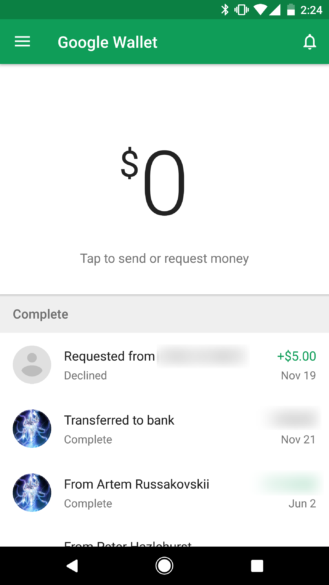 Perhaps the developers wanted to at least have their work seen. 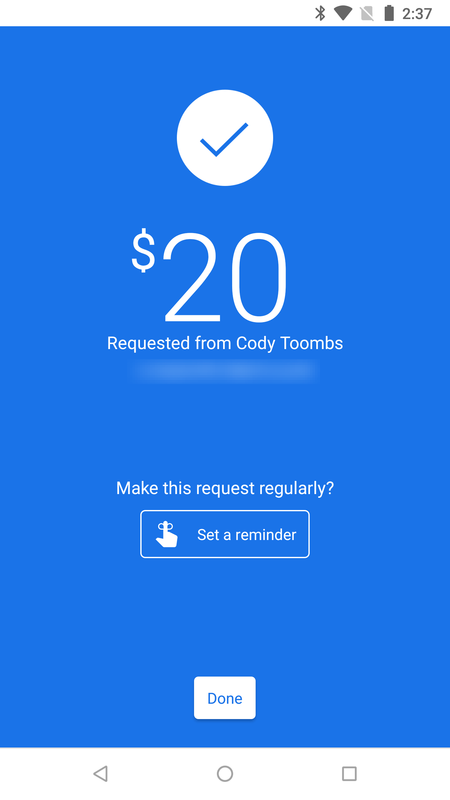 The big addition in this update is payment reminders. 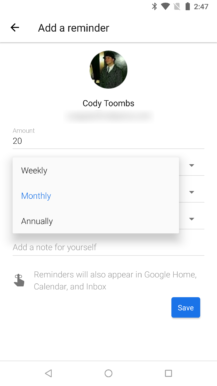 Originally spotted in a teardown of Wallet v21, you'll now get an option to set up a reminder after you've sent or requested money. 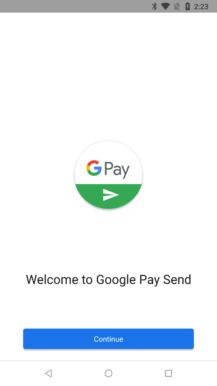 Check out that brand new button. Reminders can be configured with an amount, a time of day (morning, afternoon, evening, or night), the frequency (weekly, monthly, or yearly), and either a day of the month or year, depending on the frequency. Once a reminder is set, it will appear in the Google Home app, Calendar, and Inbox. Since this app is going to be decommissioned, it's fairly understandable that it doesn't actually have its own screen for viewing such reminders. 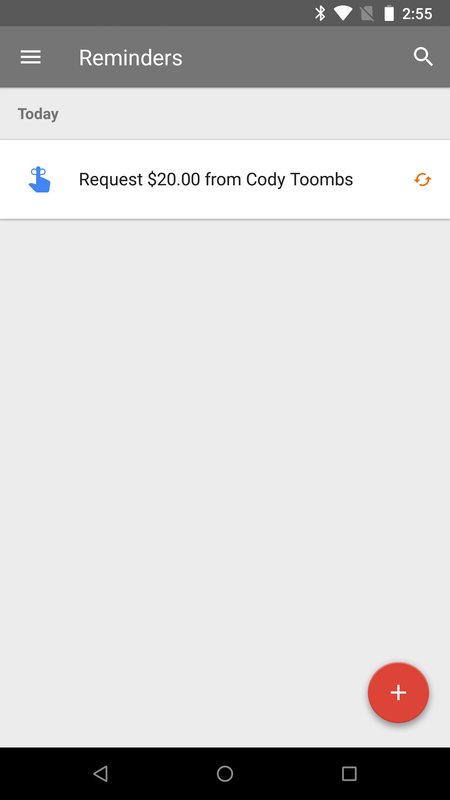 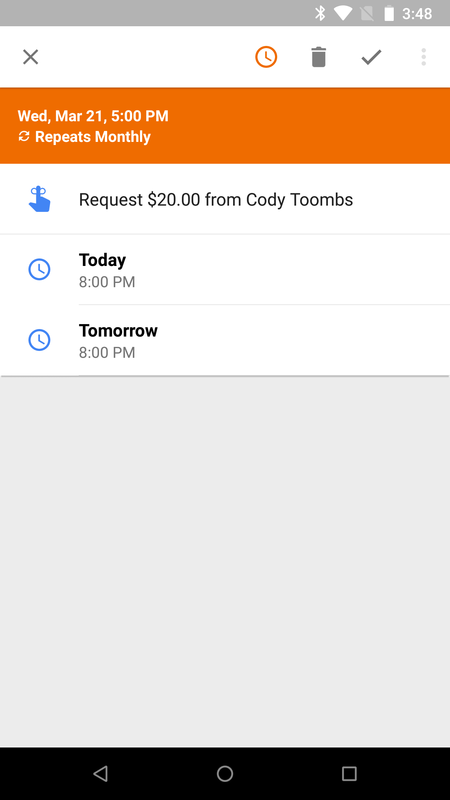 Reminders will likely make the transition to the Google Pay app once the Send functionality is merged in. Hopefully it will also fill out some of the little gaps, like a screen to view payment reminders and maybe an option to create the reminders without initiating them first with a payment request. 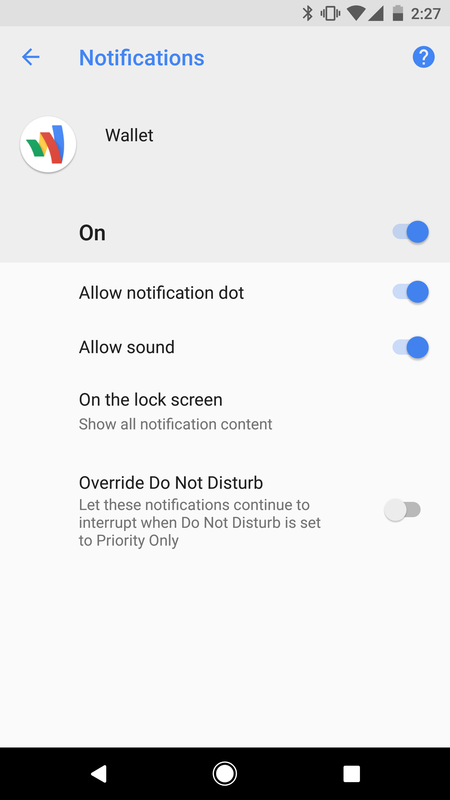 There really isn't much to say about it, but there is also a new notification channel now. 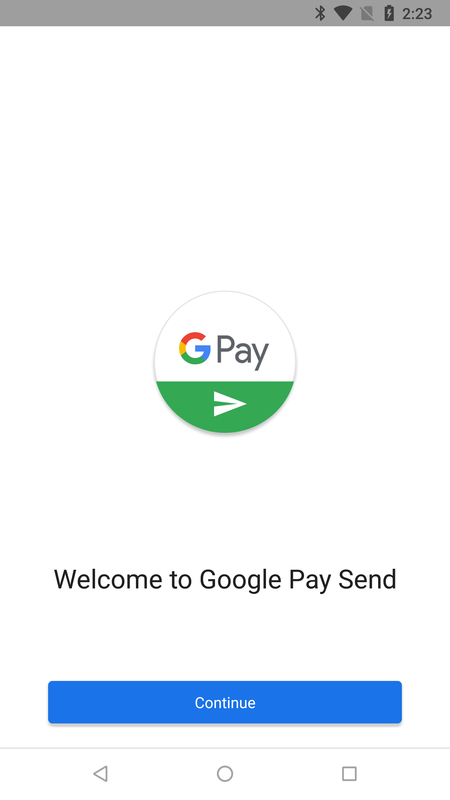 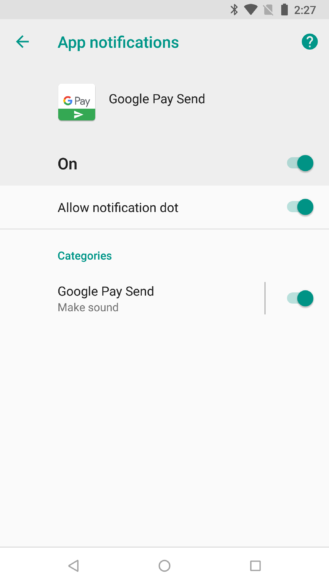 It's just one single channel called Google Pay Send, which means it's not really any different from the app built for versions of Android before notification channels existed. 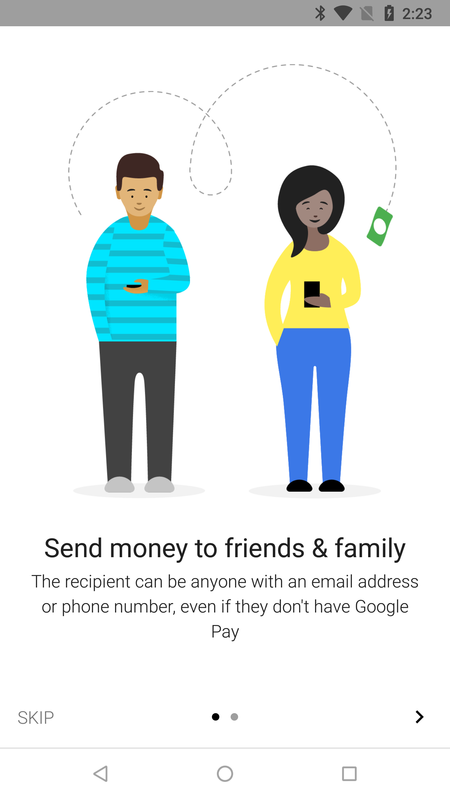 Nevertheless, it's there if you want to muck with it.